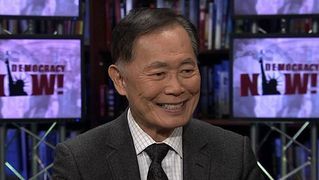 George Takei: LGBT Protections Still Needed Despite Amended Indiana, Arkansas Religious Freedom Laws | Democracy Now! legendary actor and gay rights activist. He is perhaps best known for his role as Hikaru Sulu on the television series, Star Trek. Watch the extended 2014 interview with George Takei on Democracy Now! JUAN GONZÁLEZ: After a national outcry, both Indiana and Arkansas have passed fixes to their so-called religious freedom laws that threatened to sanction anti-LGBT discrimination. Both measures were signed into law Thursday by the states’ governors. This is Republican Indiana House Speaker Brian Bosma. SPEAKER BRIAN BOSMA: What was intended as a message of inclusion, inclusion of all religious beliefs, was interpreted as a message of exclusion, especially for the LGBT community. Nothing could have been truer from—or further from the truth, but it was clear that the perception had to be addressed. Hoosier hospitality had to be restored. AMY GOODMAN: The revisions to Indiana’s Religious Freedom Restoration Act provide new protections to lesbian, gay, bisexual and transgender employees, tenants, customers, lawmakers. The fixes don’t apply to churches or schools. The new Arkansas bill is crafted to make the state’s religious freedom law more closely mirror a federal law that had been signed by former President Bill Clinton back in 1993. One critic of the original Indiana bill was former Democratic Indianapolis Mayor Bart Peterson, who now is an executive with Eli Lilly. BART PETERSON: For the first time ever, the words “sexual orientation” and “gender identity” appear Indiana statute—or they will, after this law is passed—in the context of nondiscrimination. JUAN GONZÁLEZ: Critics note the fixes to the anti-LGBT laws will not expand LGBT rights. Many Republicans who supported the changes said they were concerned about potential economic damage from boycotts and lost jobs due to protests. But advocates welcomed the changes and vowed to continue pushing for equal rights. This is Human Rights Campaign President Chad Griffin. AMY GOODMAN: We’ll go to that clip in a minute. But right now we’re joined from Philadelphia by George Takei, legendary actor and gay rights activist. He’s perhaps best known for his role as Hikaru Sulu on the television series, Star Trek. Last week, he called for a boycott of Indiana to condemn its anti-LGBT law, saying he wanted to, quote, “not only send a clear message to Indiana, but also to help stop the further erosion of our core civil values in other parts of this country,” he said. Welcome back to Democracy Now!, George Takei. It’s great to have you with us. Your response to the so-called fixes to the Arkansas and Indiana laws? GEORGE TAKEI: Well, it seems to be going in the right direction, and I hope they continue to move in that direction. What needs to be done still is there is no protection for LGBT people, and I think that’s the next step. I’m a Buddhist, and in Buddhism we embrace the pluralism of our society. And on Christmas, I sing Christmas carols, I decorate Christmas trees, I celebrate Christmas with my Christian friends. I go to Seder with my Jewish friends. And that’s the kind of society we should have. I particularly admire Pope Francis, who went from the Vatican to wash the feet of the nonbelievers. And that’s the kind of society that I call truly inclusive. There should be no civil law that protects hurting other people, denigrating other people, and ruining the most joyful moment in people’s lives. So, I hope that we come to that point. And Indiana, certainly, there is no protection for LGBT people right now currently. They can be fired with impunity. So that that’s the next step. And we look forward to that coming about. JUAN GONZÁLEZ: Well, George Takei, were you surprised by the extent of the national reaction to these laws in Indiana and Arkansas, and also the swiftness of the Republican lawmakers in designing fixes for them? GEORGE TAKEI: No, I wasn’t, because a year ago we went through the same thing in Arizona. So this was, to me, something like a rerun. Arizona attempted to do the same thing, but because there were such an overwhelming response, not only from good Arizonans, but from the corporate community and Republicans, as well, and so, before—well, it did pass the Legislature, but before it became law, the governor of Arizona, Jan Brewer, vetoed it. So, when major corporations spoke out, and even Hoosier Republicans spoke out on that—the CEO of Angie’s List is a Republican, and they spoke out against the so-called religious freedom bill. The former chairman of the Indiana Republican Party spoke out. So, I was not surprised by that reaction. And it’s surprising to me that the politicians of these states, both Indiana and Arkansas, seem to be oblivious of that, what happened a year ago in Arizona. AMY GOODMAN: I want to turn to conservative radio host Tammy Bruce, who’s openly gay. She appeared on Fox & Friends Thursday to argue gay rights activists had bullied a pizza shop in Indiana that said it would not cater gay weddings, and that the gay rights movement risks turning into fascist bullies, she said. TAMMY BRUCE: —the vulnerability about work and jobs and your own—be able to live your life as you see fit, it’s the gay community. TAMMY BRUCE: —dealing with AIDS issues in the ’80s. For me to turn around in the 21st century and see that this is what we were fighting for, so that we could condemn people who are different and with whom we disagree? TAMMY BRUCE: It is the antithesis of what every civil rights movement was about. AMY GOODMAN: That was the conservative radio host who is openly lesbian, Tammy Bruce. Your response, George Takei? GEORGE TAKEI: Well, the people behind the religious freedom bill were initially saying that, no, no, no, it’s not discriminatory, but that pizza shop incident just underscored that fact, that it was. And it was being used to hurt other people, to ruin the joyful event of gay and lesbian people, who have been subjected to that very kind of bullying throughout our lives. So, I think what they need to think about is, religion should be something that is embracing people. Pope Francis, who I used as an example, he says, “Who am I to judge?” We need to embrace the diversity of our society. In the United States, we live in a pluralistic society of many, many faiths. And for any one faith to try to write their faith values into civil law is going against the grain of our democracy, because we have this strong demarcation point between church and state. And when people try to use their church and write it into civil law, that is going against the very principle of our democracy. JUAN GONZÁLEZ: Well, George Takei, you’ve drawn parallels in the past between legalized discrimination against gays in the contemporary time to past discrimination in the 19th and early 20th century against—discriminatory laws against Asians. Could you talk about that? GEORGE TAKEI: Well, yes. All minorities have been subjected to legalized discrimination. Asians, and particularly Japanese Americans during the Second World War, were put into barbed-wire prison camps simply because we happened to look like the people that bombed Pearl Harbor. We were Americans. We were innocent. 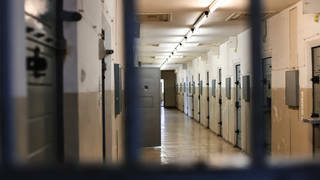 And yet, without due process, we were incarcerated. We have another longer history of slavery in this country, so—or inequality for women. And that was taken as normality for the people of that society. But we continue to move forward. Social change comes in increments. And what we are living through right now is one step toward improving, but incrementally, on what we need to do to have a more inclusive—they use the word “inclusive” to protect people who inflict pain on other people. That is not inclusion. We want a loving, a sharing inclusion. And that’s what our society really should be. Pope Francis is the idol or the example that I use. AMY GOODMAN: Why do you think Indiana introduced this so-called religious freedom law at this time? GEORGE TAKEI: Well, a year ago, there was an attempt made by legislators to add or amend the Indiana state constitution and put a ban on marriage equality. But then the judiciary, the Supreme Court, acted on it, and they saw that marriage equality was imminent. So, those very same legislators got behind this so-called marriage—or, religious freedom act. And so, that’s the history behind it. It’s very clear to me what this religious freedom veil is. We can see right through that veil.